Affiliate marketing is a form of performance-based marketing in which an advertiser rewards an affiliate/publisher through a commission for traffic, lead or sale being brought by the affiliate to the advertiser by the affiliate’s marketing efforts. 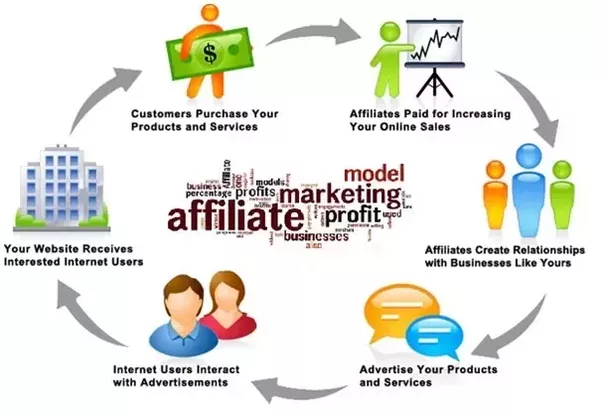 Affiliate marketing is one of the oldest forms of online marketing wherein an affiliate refers a visitor to a product or a service and when the visitor evinces interest or buys that product or service online the affiliate receives a commission. Affiliates can be deemed as an extended sales force of the advertiser. Advertisers prefer affiliate marketing because ideally, the advertisers do not have to incur a cost until and unless a lead is generated or a sale is conceived. The terms of Affiliate Program, Affiliate Link, Affiliate Website and Affiliate Sales continue to remain in the trend because of affiliate marketing. Affiliate marketing works best when the advertiser’s products and services are contextually placed on our websites and it helps further if we support the ad by a write up of experience of using that product or service and the context of using that product or service. 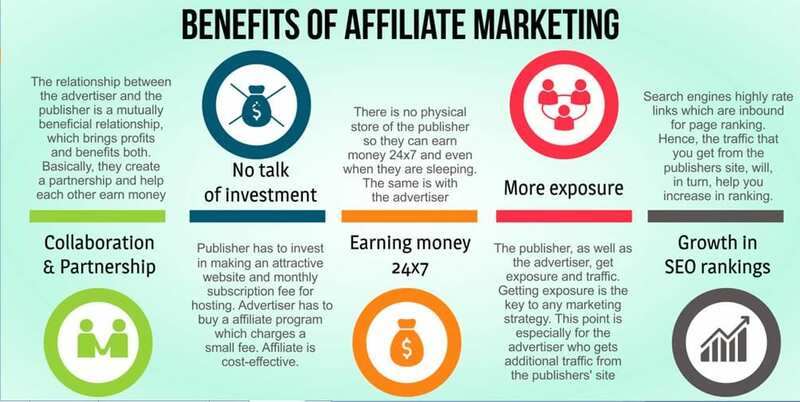 To succeed in affiliate marketing as an affiliate/publisher we have relevant and timely content on websites, built relationships with other niche publications and have striked effective partnerships with these publications. The quest is for the cookies as the cookies help the advertisers identify the publications/affiliates from where the traffic, lead or sale has been generated. Even if the visitor does not buy the same product but buys some other product from the advertiser but within a specified time frame typically 24 hours to even 90 days depending on the affiliate program, the credit and the commission for the sale of this other product still goes to the affiliate. Some advertisers though do not give credits or commission for the purchase of any other product, other than the one in the link. So the affiliate terms and conditions need to be discussed and settled with the concerned affiliate advertiser before we start with our affiliate program. Thereafter we build a site focusing on this niche. We produce excellent content relevant to this niche. We promote our affiliate product(s). Finally we repeat steps #3–6 on a continual basis! Successful e-books have long lasting results. We provide useful information and add the links. If readers approve of our work and trust the information provided, then affiliate links work wonders in e-books. We search for a forum that discusses about the subject of what we are promoting. Then we check the community or forum guidelines so that we understand what posts are allowed and what are not. Once we find a good forum or community to promote to, we become a member and more so an active member. We do this by interacting with other people, answering questions or offering solutions. This allows other people to trust us. Thereafter we integrate affiliate links and people are happy to click on the links provided. We have Facebook/Twitter and other social media accounts and over time have built an online audience of friends and followers. They are inclined to click on affiliate link/s that we post. We can make use of images – visual aids usually help to attract readers and we know what kind of images to put to surely catch our reader’s attention. We are convinced that email campaigns are the best way to know if people are responding to affiliate links. We are of the opinion that writing an email campaign is similar to writing a blog. The only difference is that we are sending these emails to them directly. When writing an email, we need to ensure that it is going to engage the readers. Here good subject and great email content helps and then we include our affiliate links. We post informative, useful and creative videos on YouTube to promote affiliate links. We provide disclosure of the affiliate links that we are using. When creating videos, we ensure that they are related to the products or services that we have to promote. We also ensure to mention a description of it and add the links to the products that we are promoting or reviewing in the video. We give it our best to getting more creative and resourceful in creating videos. We try to make the videos unique and interesting which helps to rope in more viewers and more clicks on the affiliate links we provide. We develop a rapport and make it personal. We don’t just stop at developing a rapport with our audience. We go a step further and also cultivate an audience that has very specific interests. We review products and only choose a handful of good products. We choose campaigns with care. We a) Understand the market needs and b) Look for products that align correctly with the topic of the site. We do not register with too many different affiliate programs and do not try to promote everything. We strongly believe that pursuing affiliate marketing by promoting everything or too many products can become very overwhelming and it won’t be possible to promote any product properly. We use several traffic sources to promote products. There are many other traffic sources that we tap into and promote the products simultaneously. The more targeted traffic we send to the sales page the more our client’s benefit. We test, measure and track affiliate campaigns. We use different product promotion strategies so that we figure out what is working best. We even do split testing and measure the performance of each campaign and then take actions accordingly. Changing a few things here and there increases the campaign performance and profits our clients. We place the banner ads on different areas of our site’s pages as some positions make the ads more noticeable and we get better results. We tap into our conversion tracking software to track and keep a tab on our affiliate campaign/s. We research the demand of the product. If we try to sell a product that is in low demand then chances are that we are not going to get many sales no matter how hard we try. So we spend a bit of time researching and finding out if a product that we are thinking of promoting is a product that our audience needs. We stay current with new methods, techniques and trends. Affiliate marketing is a very competitive field and people are always coming up with new techniques. We stay current with the new techniques and market trends. We only choose the right merchants. When we promote a product we also promote the person or the company who is behind the product, so we need to choose wisely. We don’t want our visitors to go and buy a product following our advice, then come back unhappy or as we lose our credibility, not come back at all. Websites/companies that offer good customer service, have better customer satisfaction. So we stick to promoting their products. We are serious about affiliate marketing and use tools that will help in being more efficient.